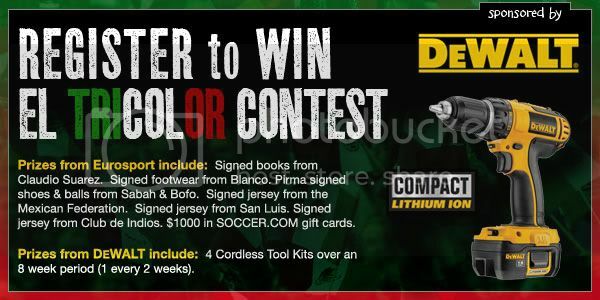 In a lawsuit filed on Tuesday, Major League Soccer, and its sponsorship representation, Soccer United Marketing, allege that Black and Decker's DeWalt brand without authorization practiced 'ambush marketing' by using MLS marks to promote ticket giveaways and tail-gate parties associated with Mexican National Team exhibition matches. Black and Decker competitor, Makita, is an official sponsor of MLS in the Industrial Power Tools category. The suit also accuses Black and Decker of setting up promotional booths without authorization at matches and using unauthorized logos in promotional materials. A similar case this past Fall enjoined a Philadelphia-based radio station, 94 WYSP/Equity Communications, from further distribution of Philadelphia Eagles tickets for promotional purposes. The NFL organization brought the suit on the grounds that "by engaging in the unauthorized promotional use of Eagles Tickets, Equity violated the terms and conditions on the backs of these tickets which expressly state that they may not be used for promotional or other commercial purposes, including contests, sweepstakes and giveaways."